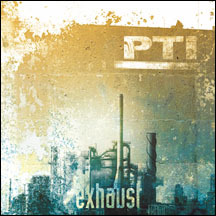 On the heels of their 2004 Breakout Album, Blackout, PTI returns with the remix companion, Exhaust. This multi-track release features new remixes of Ivory Tower, Gone Silicon, Databass, Condemnation, IDentify and more. In addition to the remixes, Exhaust will include one previously unreleased b-side named after the album title. Remixers for Exhaust include God Module, Assemblage23, Negative Format, Flesh Field, Y-Luk-O, Z Prochek, Interface, Christ Analogue, Torrent Vaccine and more.